Shrink Film - or Shrink Wrap is used to wrap a product in plastic which is then shrunk through the use of heat to completely encasulate it. 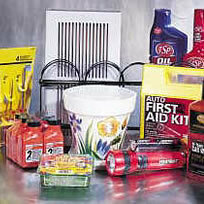 Get Packed supply a range of shrink films to suit a range of purposes and a range of shrink wrapping machinery. Our supply of Cryovac Shrink Films includes the CT300 range of ultra thin and low guage film; as well as CT501 for contouring of irregular shapes; Impact Shrink Film which is abuse and puncture resisitant; and a D940 for low temperature shrinking requirements. All Cryovac films are available in centrefold and range in size from 200mm to 820mm wide as well as specially slit single wound films to suit all requirements. We also supply protective white shrink film , polyethylene (PE) Shrink , PVC Shrink Film and Shrink Sleeves used for tamper evident sealing. Cryovac is a brand of Sealed Air and is an industry leader in food packaging and packaging innovations. Amongst the many packaging products and applications they manufacture, Shrink Film is one of the most diverse to suit not only food applications but packaging applications with a range of requirements. 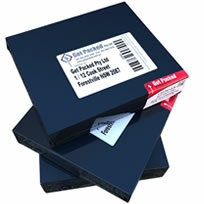 StealthWrap™ is our newest addition and is a black opaque (99.9%) shrink film. 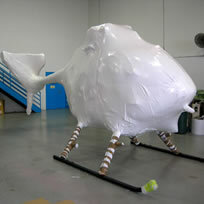 It can be used as an alternative to cartons or boxes in e-commerce shipping for non-fragile items. By using shrink wrapping machinery to wrap the goods it can improve your workflow and reduce labour costs as well as reducing storage space otherwised used for cartons. 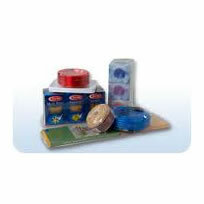 It provides an alternative packaging solution whilst providing a tamper evident finished product. 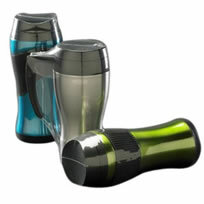 Enhanced seal strength in an ultra thin format which reduces the carbon footprint as less material is used. is available in a range of thicknesses, widths and lengths. CT-501 Soft Shrink Film is the latest release from Sealed Air and is based on a micro-layering technology that allows for perfect contouring of irregular shaped products. This softer film makes wrinkles and 'dog ears' disappear and is versatile and forgiving across a wide range of equipment. The CT-501 is a 30 guage shrink film that provides a 50-60 guage performance as well as providing operational gains with lower tunnel termperatures and longer rolls meaning fewer changeovers and reduced transportation costs. Cryovac Impact film has a superior gloss, clarity and sheen and is particularly abuse and puncture resistant which makes it perfect for the retail environment. 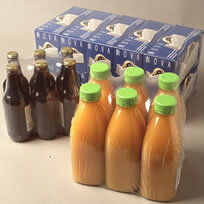 This durable and highly versatile shrink film is also very good for a wide range of packaging applications. Cryovac D-940 combines a low temperature shrink without compromising strength so it’s great for irregularly shaped and heavy products. Match this with its superior gloss and sheen makes it ideal for stationery, gift wrapping and magazines as its low shrink force exerting against the product doesn’t bend, distort or crush the product. Ideal for large items from pallets to planes, boats and helicopters - this 250um opaque shrink film offers high security protection and the ability to withstand harsh weather conditions. 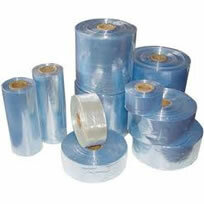 It is ideal for storage and shipping and is used with a gas gun to shrink the film. Ideal for bundling or collating of mulitpack products - like bottles, cans or general grocery items, low density Polethylene or PE single wound Shrink Film provides a protective barrier for this type of application. Polyethylene shrink film is available in a range of widths and guagess (thickness) and colours and can be custom printed to suit your individual requirements. Single wound PE film is used with Sleeve Wrappers or Bundle Wrappers which are also available from Get Packed. 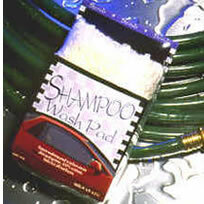 Shrink or pallet bags are also made of polyethylene. This product is made to order and only a few are usually held in stock so please contact us for enquiries. 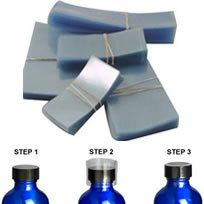 Easy to use, easy to seal and shrinks on both old and new machinery. PVC heat shrink film has a strong brittle and crinkly texture and is often used as alternative to Polyolefin shrink film which is much softer to touch and feel. PVC Shrink film is great for gift baskets, CD's and softwear as it shrinks at low temperatures and works well with a Shrink A Pack manual shrink wrapping system that uses a heat gun to shrink the film. Rolls of film come in centre folded film and is also available in shrinnk sleeves (tamper evident sleeves). Not recommended for use in direct contact with food. Shrink Sleeves are often used as a tamper evident seal over the tops of bottles, but are also used to bundle items together -eg two bottles together for promotional selling "buy one get one free". Shrink sleeves are generally used in the food, beverage, pharmaceutical and general consumable markets and are placed over a product and 'shrunk' through the use of a heat gun or shrink tunnel so that the sleeve will fit snugly and match the contour of the product. Get Packed can arrange for the shrink sleeves to be cut to a particular length and are available in a range of diameters with or without perforations for ease of use.